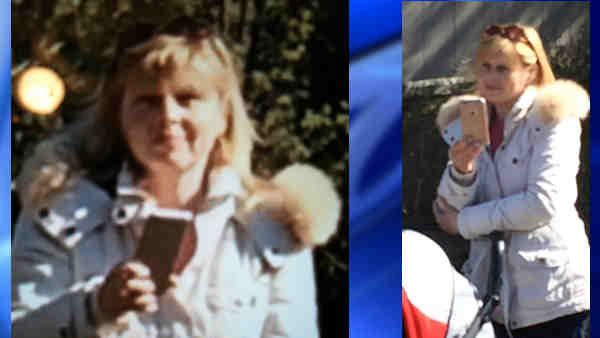 GREAT KILLS, Staten Island (WABC) -- A woman is wanted on Staten Island after police said she struck a 12-year-old boy with his hockey stick because he and his friends were making too much noise. Both the woman and the children took pictures of each other during the ensuing verbal dispute, and now police want to question the woman for the assault. According to the New York City Police Department, on April 13, a 12-year-old and his friends were playing a street hockey game on Crispi Lane in Great Kills, Staten Island. A woman yelled at them that they were making too much noise. During the ensuing argument, police said she grabbed the 12-year-old's hockey stick from his hands and struck him in the leg. The boy sustained a bruise to the leg. The woman left the scene and police have been unable to identify her. She is a 35-to-45-year-old woman, and was wearing a white parka.